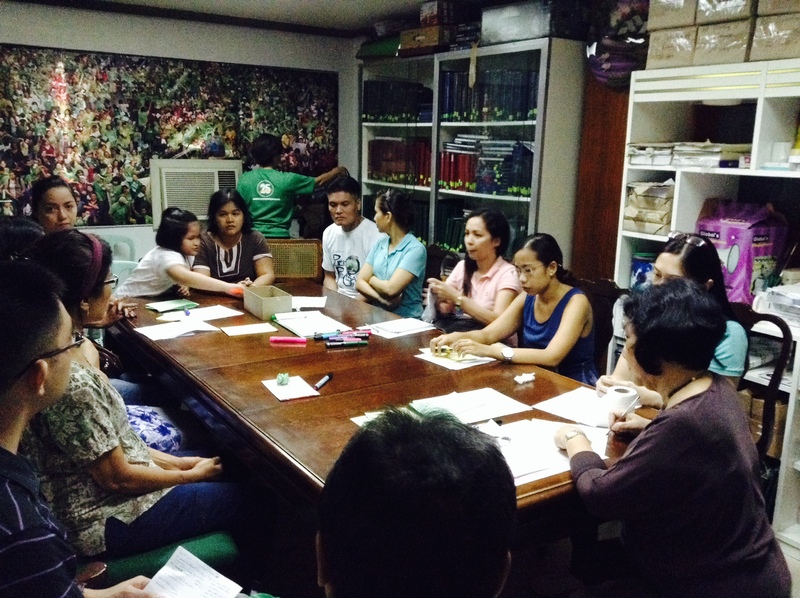 The Autism Society Philippines (ASP) held its monthly Family Support Group (FSG) last Saturday, 19 July 2014 at the National Office. It was attended by parents, grandparents, siblings, and other relatives of children with autism. Mrs. Conchita M. Ragragio, the facilitator of FSG,was among the founding members of ASP. Titta Ragragio shared the objective of the FSG is to support parents of newly diagnosed children with autism to as an introduction of the session: 1) deal with their initial feelings about having children with autism and 2) identify pressing concerns and options to address these. Titta Ragragio also presented questions ("How did you feel when your child was diagnosed with autism?" and "What are your concerns?") that the attendees had to answer by writing short answers on pieces of paper some says they were shock, sad and stressed. Then they tried to group similar or related answers together and stuck them on the whiteboard in front of everyone. Afterwards, there were some personal sharing of ideas and feelings, and discussion by the group. In sharing their feelings with having CWA, one of the feelings shared were that of regret or guilt where some asked themselves questions such as "Why me? ", "What's wrong with me? ", or "Did I do something wrong?" Mrs. Sicam, ASP Vice President and also a founding member of ASP, shared her insights in this matter by saying that guilt would only detract you from doing the right things and you just have to do what you can and do the best that you can. Another key topic discussed in the FSG was the subject of acceptance. Mrs. Ragragio shared that as parents of CWA, they've all must have experienced denial of their situation; but it was very important that they eventually reached acceptance. Even Mr. Cabason, ASP trustees, shared that denial would only impede the opportunity to help their children. Most if not all shared that they felt they were blessed when they knew they had their children. Even if they faced many challenges, they still felt that what they were facing were "blessings in disguise". About the Author. Felix-Margarito D. Tablac, one of four siblings, the youngest in the family with three older sisters. Currently enrol in Ateneo de Manila University, taking up BS Electronics and Communications Engineering and subjects in Developmental Science. A member of the Ateneo Special Education Society (SPEED) which conducts regular visits to SPED Schools and Centers to interact with persons with special needs and holds other projects that advocate for persons with special needs.